The new Uber app for drivers was built after experimenting with over 100 driver and courier partners in Bengaluru as part of the global beta launch. In a bid to smoothen the ride for its drivers, ride-hailing platform Uber on Wednesday launched a new app that will initially be available to select driver-partners in Kochi and courier partners in Chennai. The app was built after experimenting with over 100 driver and courier partners in Bengaluru as part of the global beta launch. "Our teams spent time on-ground, interacting with partners through group sessions, ride alongs and in person meetings to gather inputs. Every piece of their feedback was important and it was incorporated into building an app that meets their needs," Pradeep Parameswaran, Head of Central Operations, Uber India and South Asia, said in a statement. The app will be rolled out in a phased manner to driver and delivery partners across the country over the coming months, Uber said. "Drivers' opinions shaped the app for the better. After over 100,000 trips, thousands of conversations, and many bugs reported (and fixed! 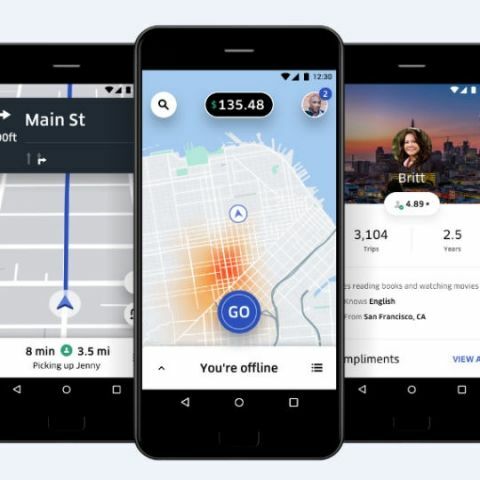 ), we're excited to share the product of our partnership: a new app built for drivers, with drivers," Dara Khosrowshahi, Uber CEO, said in a blog post. The app comes with an "Earnings tracker" to let drivers know how much they earned on their last trip, and makes it easy to track progress. The "Status bar" feature provides real-time updates on market conditions around them and opportunities for more trips nearby. "When a driver taps an opportunity, the app will provide optional navigation to the recommended area," the company said. The "Notifications" feature lets drivers see messages about upcoming earning opportunities, feedback from riders and information about their account. The "Driver profile" feature allows riders to learn more about their driver and find new ways to connect. service center for beat headphones in india? which is the best APP development company in India? Best ultrabook for 70k in india?